Juzo Compression Therapy Garments – the freedom to make the most of every day! Allied Healthcare stocks a wide range of Juzo Compression Stockings. Knee highs, Thigh highs, Open toes, Closed toes, and compressions ranging from 10-15, 15-20 and 20-30mmg. Allied Healthcare will measure your legs and select the correct size of stockings for you! Juzo ... the finest available. 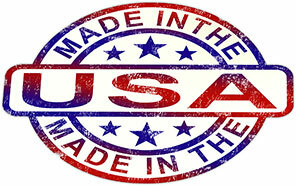 Latex-Free- All Juzo garments are Latex-Free! Material- Most of our compression garments are made with Lycra! Lycra® is the highest quality synthetic compression fiber on the market. Lycra resists wear-and-tear. Some companies use Spandex -- a lower grade fiber, or latex rubber compression fibers which wear, are more susceptible to breakdown, are harder to care for and typically less comfortable to wear. Does your compression garment have a shine to it or feel sticky when you run your fingers over it on the inside? This indicates uncovered compression fibers! Stockings made with covered compression fibers are very important because they add wearing comfort, ensure greater durability, softness and ease of putting on and taking off. Juzo’s exclusive FiberSoft™ process wraps each compression fiber with soft, protective threads which lift the compression fiber off the skin and increases the garments durability and comfort. Ease of Care- Juzo garments can be machine washed and dried.